Truganina, Melbourne auto mechanic MACS Automotive & Panel announced its smash repair services for car owners in and around Hoppers Crossing. The company provides manufacturer-approved full bodywork and cosmetic repairs for all brands of cars. The company also offers insurance claim quotes and advisory services. Truganina, Melbourne auto mechanic MACS Automotive & Panel announced the expansion of its services to the suburb of Hoppers Crossing. The Melbourne car service shop specialises in smash repairs for all domestic and import models. According to the Australian Academy of Science, the damage caused by car crashes each year is approximately $27 billion. The City Science Research Group estimates that Melbourne estimates that annual vehicle crash numbers average between 8,000 to 10,000. MACS Automotive & Panel offers affordable and quality smash repair services to the residents of Hoppers Crossing and the surrounding suburbs. The shop’s team of expert panel beaters ensure that all bodywork and repairs after a crash are performed to manufacturer specifications. The shop uses cutting-edge diagnostic and repair equipment and OEM spares. The Truganina crash repair workshop carries out repairs for major crashes and minor cosmetic touch-ups. The MACS Automotive & Panel – Smash Repairs Car Services team has years of expertise working with an insurance claim and full payment repairs, providing detailed repair quotes to owners and insurance companies. MACS Automotive & Panel also provides mechanical repairs, servicing, and wheel & tyre services in Melbourne. 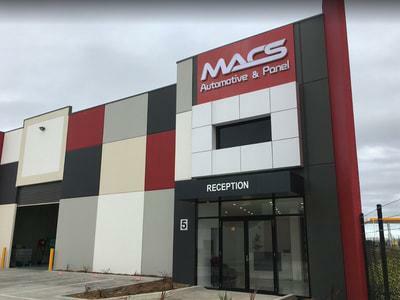 MACS Automotive & Panel is a full-service automobile repair and service facility serving Laverton North, Derrimut, Tarneit, Truganina, and other regions of Greater Melbourne. The service station is an approved roadworthy license accreditation facility. More information is available over the phone at 03-9394-1110 and at the URL above.